Dressing choices: Ranch, Lite Ranch,Greek, Thousand Island, Italian, Lite Italian, Creamy Italian, Blue Cheese, Oil & Vinegar, Parmesan Peppercorn, Caesar, Raspberry Vinaigrette and Our "Award Winning" House! *All salads served with pita bread and croutons. 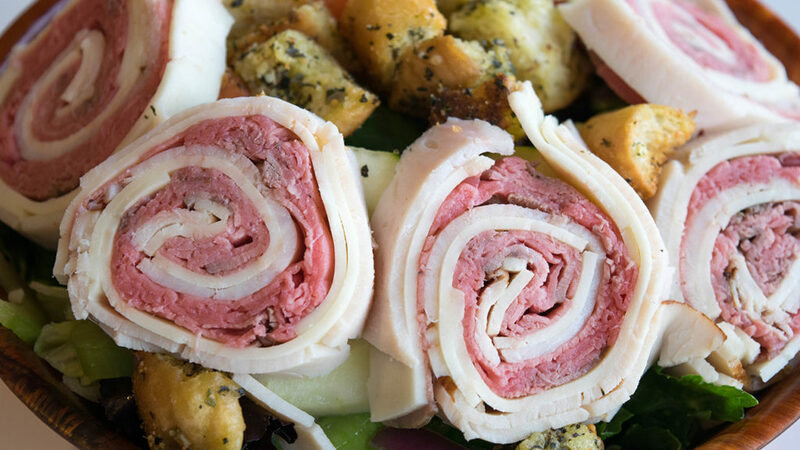 A fresh tossed salad, topped with roast beef, turkey and provolone cheese.